This was published in the journal of neurology, neurosurgery, and psychiatry in 2008. In this study, patients who underwent lumbar microdiscectomy, a procedure where herniated disc material is cleaned up from the spinal canal reducing nerve pressure. The patients were put into two categories. There were those that were given the removed fragments from their surgery and those that weren’t. Overall, both patients experienced relief but the patients that were given their disc fragments reported improvements in leg symptoms and back pain significantly more than the control group. There were also improvements in associated leg weakness and paraesthsia. This group also reported a reduced need to take pain medication sooner after the surgery. These are interesting findings that demonstrate how our mental state can affect our physical state. 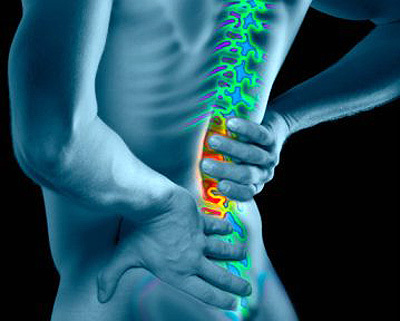 Anxiety and depression are common among patients presenting for back surgery and influence the duration of low back pain and the development of a more chronic condition. Preoperative anxiety or depression and passive pain coping strategies are well established negative prognostic indicators following lumbar microdiscectomy. Prognostic indicators are factors that influence how quick or slow someone will recover from an injury. Unfortunately, clinicians forget this and opt to diagnose solely based on findings on MRI or X-ray. Poorly explained MRI or X-ray findings can lead patients to assume their condition has no hope of getting better. Think about the diagnosis, “degenerative disc disease.” The words alone are suggestive of a “disease” that can never improve. This leads many to assume that they “have a bad back.” This leads to some of the passive pain coping strategies that make back pain more chronic and harder to treat. The most important factors are what we find during our clinical examination. Imaging does play a crucial role in the diagnosis and management of certain conditions, however, should never be solely relied on until conservative measures have been exhausted. If you need a second opinion regarding surgery, don’t hesitate to ask. Does Your Pelvic Floor Fail You when you Laugh, Sneeze, Run or Jump? You are not alone! Many women ages 25 – 50 suffer from Stress Incontinence. Stress Incontinence is caused by weakening of the muscles that keep urine stored in the bladder. Stress Incontinence can be prevented & treated with CONSERVATIVE treatment. Physical Therapy can help! • You cannot sit through a movie without having to pee. • You have to get up at night to pee. • You have a strong urge to pee, but void less than a coffee cup worth. • You have to strain or have pain with urination. It is uncertain whether having surgery results in a better outcome than the more conservative option of physical therapy. The New England Journal of Medicine recently featured a study which involved 330 participants who were similar in age, gender, race or ethnic group and divided into two groups. Half of the participants had surgery followed by a course of physical therapy treatment and the other half had physical therapy treatment alone. The groups were mixed in with each other and followed the same physical therapy program. At the conclusion of the study, only 30% of participants who started with physical therapy had arthroscopic knee surgery after 6 months. The study states, “we did not find significant differences between the study groups in functional improvement 6 mos. after randomization; however 30% of patients who were assigned to physical therapy alone underwent surgery within 6 months.” According to this study 70% of patients who went the conservative route and chose NOT to have surgery as their first option saw improvement with physical therapy alone and NO SURGICAL INTERVENTION. If you have a meniscal tear or osteoarthritis, don’t think surgery is your only option! Physical therapy can help you and I’m going to outline a beginner exercise program to help with knee pain. If you feel unsteady, you can use a chair or table for support. After you stretch, begin with Fire Hydrants– Do 2 sets of 15. Make sure to rest for 30 seconds between reps and 1 minutes between sets! You can hold a light weight in each hand, I recommend 2-3lbs. Make sure to rest 30 seconds between sets! Lay on your side, slowly lift your leg up and hold, lower your leg. Repeat 15 times each leg for 2 sets. Using a ball for support, slowly lower yourself in the squat position. Make sure to do 2 sets of 15! Do you or your friends & relatives have a medicine cabinet full of old pain medications? This Saturday, April 27th, is National Prescription Drug Take-Back Day. Several local Police Departments and law enforcement agencies will be participating in the U.S. Drug Enforcement Administration’s (DEA) initiative. This nationwide drug take-back day brings attention to the issue of pharmaceutical controlled substance abuse. From 10am to 2pm, our local heroes will be operating collections sites for safe disposal.